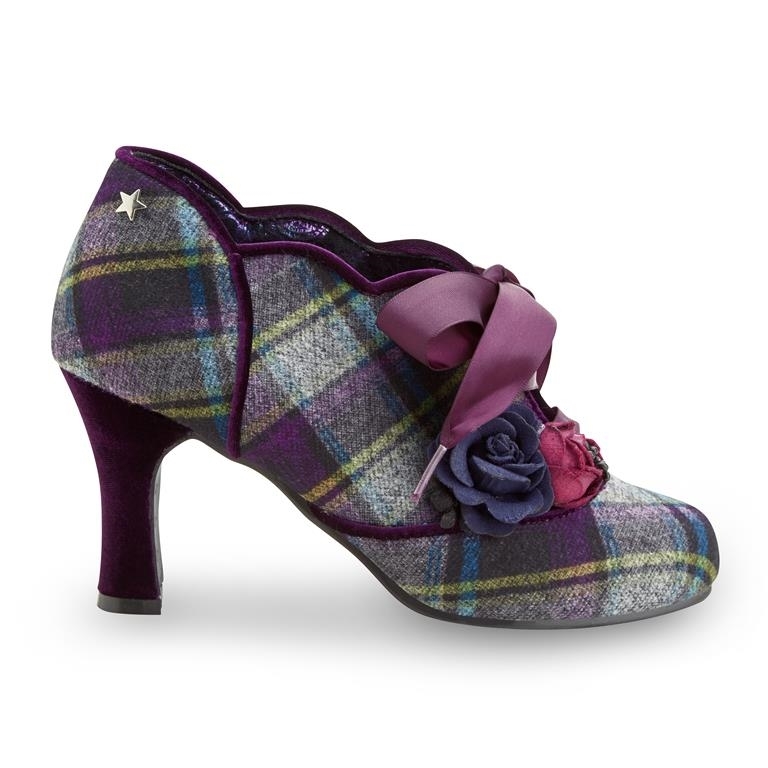 The beautiful Joe Brown Couture Yazzabelle Purple lace-up shoe boot is perfect for all occasions. 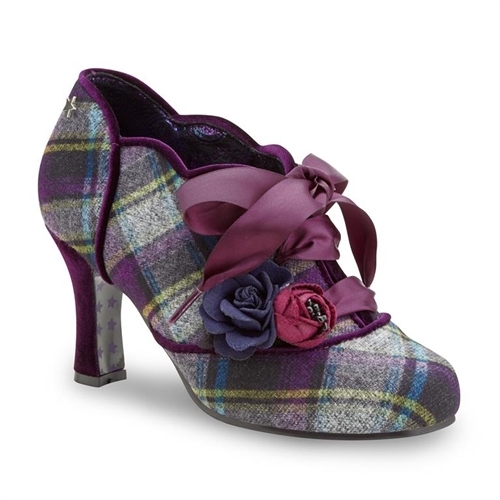 These gorgeous shoes have a vintage quirky feel to them. Perfect for special occasions and to dress up a casual look. The Purple tartan combi with ornate rose and ribbon embellishments, look great on and add a touch of class to the shoe. The easy slip-on design makes the show easy and a snug fit. These shoes are brilliant if you want a completely unique look.